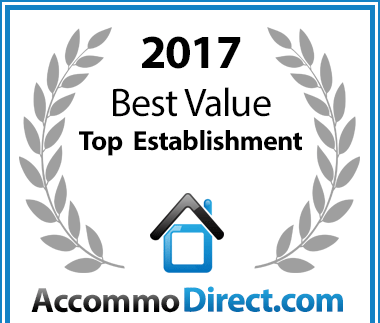 Oceans Echo Luxury Villa has been voted a Best Value Establishment for where to stay in Cape Town. 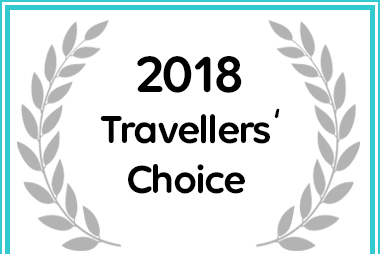 Oceans Echo Luxury Villa in Cape Town has received a Travellers' Choice Award for 2018 on Afristay. Oceans Echo is located in Fish Hoek, which is nestled between historic Simon’s Town and quaint Kalk Bay, on the South Peninsula of Cape Town. This coastal area combines spectacular scenery with active recreation and boasts some of the best swimming beaches in Cape Town, due to the warm-water Aghulas current that flows along the coastline. Our luxury self-catering apartment and villa accommodation is a contemporary style 5 bedroom house. Set against the mountain, Oceans Echo offers panoramic sea views, privacy, tranquillity and comfort in abundance. The house can accommodate 10 people and is perfectly suited for holidaymakers, local travellers, honeymooners, business travellers, adventure travellers, weekend visitors and golfing enthusiasts. Oceans Echo is perched high above the ocean so when the whales are making the most of the warmer surface water, you can see them in all their glory: bubble-netting, breaching, lob tailing, spy hopping, blowing, grunting and even mating. Oceans Echo is a 2 minute walk away from Jager Walk and Fish Hoek Beach, which is one of Cape Town’s safest and most beautiful swimming beaches. Table Mountain National Park is a must-see for anyone visiting Cape Town, local or international. From open access hikes and beautiful forest walks, to pristine picnic and day-visit spots, there is plenty to do, see and experience. Oceans Echo is surrounded by a vibrant selection of dining options, ranging from cafés and delis to fine dining restaurants, representing the best of Cape Town’s fusion cuisine and offering excellent local seafood. Clovelly Country Club is just a five minute drive away from Ocean’s Echo and hosts an 18 hole/par 72 golf course. Golf enthusiasts will tell you that this probably is the most beautiful course in Cape Town. Kalk Bay has become well known for its bohemian boutiques, vintage collectables and local art galleries. Browsing the shops on the Main Road becomes a celebration of local talent and fascinating finds. Whether you’re a seasoned hiker looking for a new challenge or an inexperienced trail blazer, Oceans Echo is in close proximity to a walk or hike to suit you. Ideally suited for self-catering accommodation, venue hire, corporate breakaway and film location, this spacious villa in Fish Hoek has it all - location, views, luxury finishes and a relaxed atmosphere. Oceans Echo self-catering accommodation is a 2 minute walk away from the Jager walk and Fish Hoek Beach, which is one of Cape Town’s safest and most beautiful swimming beaches. The town of Fish Hoek is nearby and offers amenities such as banks, pharmacies, shops and restaurants. Kalk Bay and Simon’s Town are just 5 km and 8 km away, respectively. Ideally positioned – 35 minutes from Cape Town International Airport, 40 minutes from the Cape Winelands and 40 minutes from the Cape Town city centre – Oceans Echo’s location is remote enough to ensure peace and tranquillity, yet close enough for easy access.